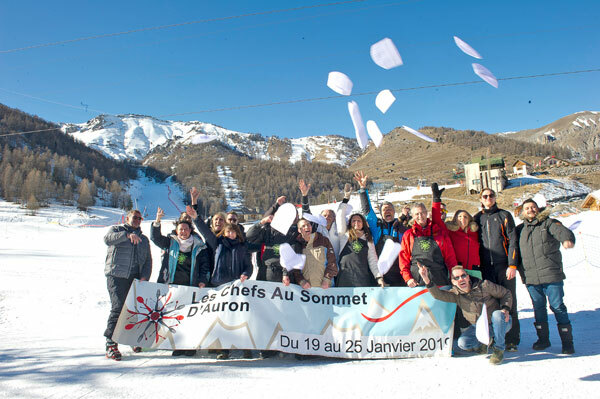 The Chefs au Sommet d’Auron thanked the prestigious culinary partners of the Festival of Mountain Gastronomy in the snows of Mercantour during a festive reception on the tracks at the restaurant Le Farban. 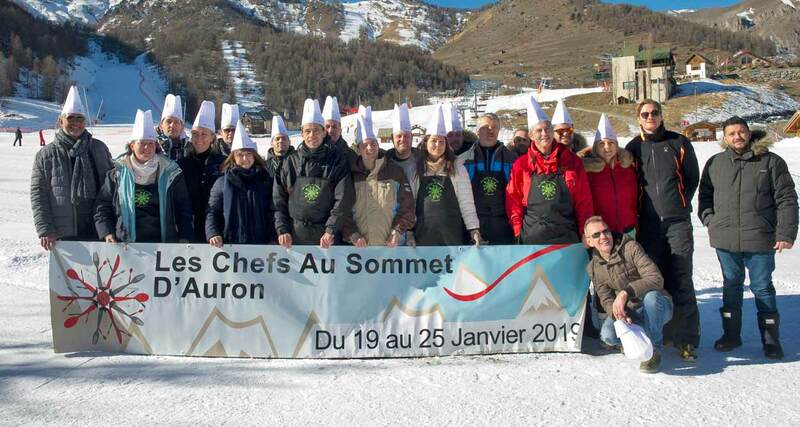 The Chefs au Sommet d’Auron celebrated from 19 to 25 January 2019 the haute gastronomie with summits of tastes, mountains of flavors, peaks of taste emotions in the heart of the iconic Mercantour ski resort. 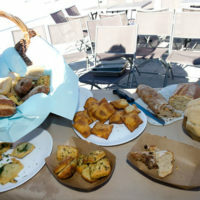 Talented chefs and pastry chefs from the French Riviera have shared moments of authenticity and gastronomic delights in a convivial atmosphere with the tourists and the inhabitants of Haute Tinée. 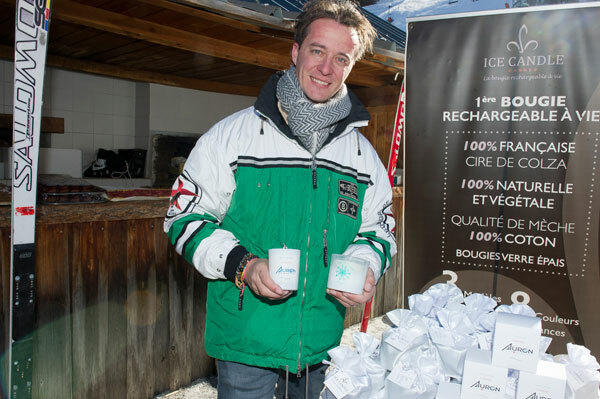 As every year, prestigious and faithful culinary partners contributed to the success of the 8th edition of the Festival of Mountain Gastronomy. 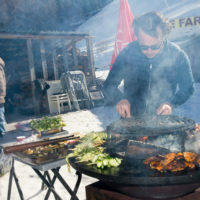 With the sumptuous summits of the Mercantour as a backdrop, Chefs au Sommet d’Auron have been celebrating Haute Gastronomy for eight years through events of culinary happiness sharing. 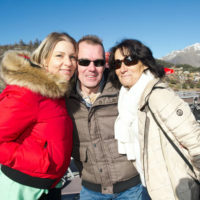 For the first time, a godmother, Virginie Basselot, executive chef of the Hotel Negresco in Nice, honored the gastronomic event with her two Michelin stars, her availability and kindness. 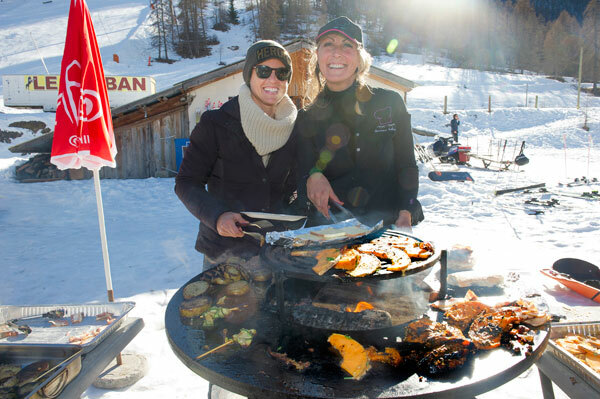 The Festival of Mountain Gastronomy proposed a week of cooking demonstrations, playful workshops and gourmand 5 to 7 around the ice rink. 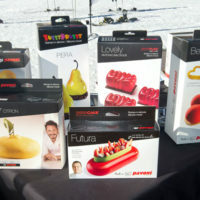 During the Festival, renowned Cheffes and Chefs performed culinary feats every evening by cooking gastronomic dinners on unknown “pianos”. 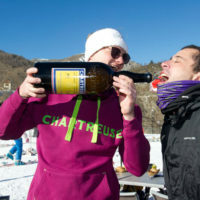 Every evening, the restaurants of the Auron resort, Saint Dalmas-le-Selvage and Saint-Étienne de Tinée hosted in their kitchens renowned chefs and pastry chefs from the region who made sumptuous gourmet dinners at a unique and privileged price of 45 euros per person. 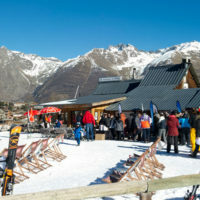 These exceptional dinners are enjoyed by the fire, in the relaxed and warm atmosphere of dining rooms decorated with woodwork of mountain restaurants. 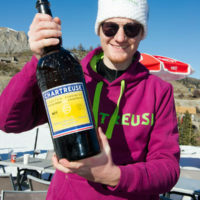 These high altitude dinners and festival events are made in partnership with prestigious wine and culinary partners. 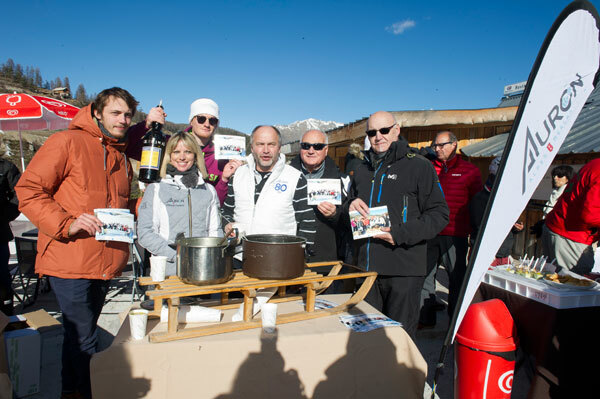 Many chefs and actors of the Festival of Mountain Gastronomy gathered around the partners of the Chefs au Sommet d’Auron 2019 during a presentation of the know-how and a tasting of their products at the restaurant Le Farban on the slopes of Auron on Monday 21st of January. 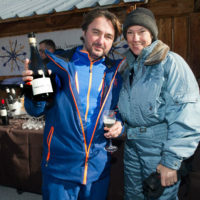 The guests were able, amongst other things, to discover and enjoy the nectars from the Domaine de Rimauresq, Cru Classé Côtes de Provence in Pignans in the Var, the Philipponnat Champagnes, the candles Ice Candle from Cannes and the Pavoni professional kitchen utensils. 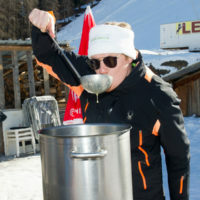 Guests were treated to Sandrine Events‘ tasty beef burgers, Laurence Duperthuy‘s organic peasant soups, Notes de Cuisine in La Colle-sur-Loup, and a rich buffet concocted by the restaurant Le Farban. 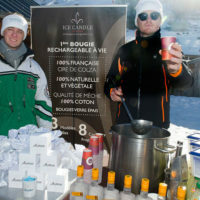 Victor Delpierre, Barista/Cocktails World Champion showcased liqueurs from Elixir Combier and Andros juices, as well as Chartreuse, which many chefs enjoyed at the bottleneck. 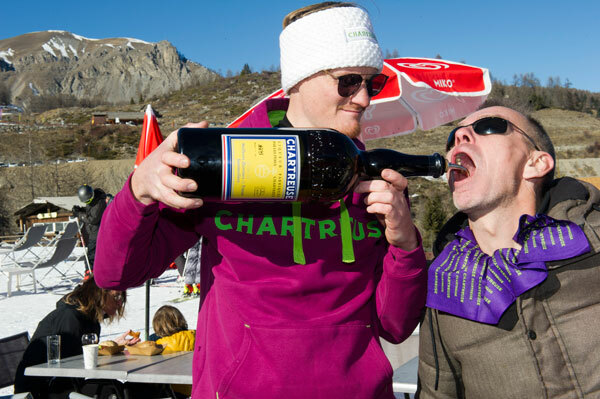 The Festival of Mountain Gastronomy was born from the initiative of members of the association of the Traders of Auron and Saint Etienne de Tinée, who, passionate about gastronomy, have forged links of friendship with numerous starred chefs in the region. 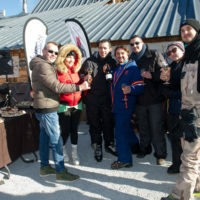 They created the festival in February 2012 under the aegis of Michel Guillot, President of La Tinée Tourist Offices. 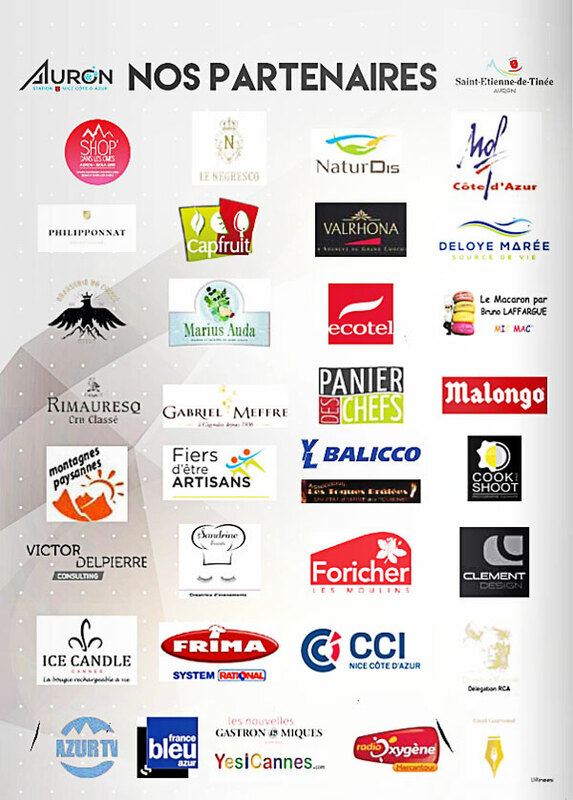 Many chefs and partners have joined the cause of this gastronomic event that has become a must. 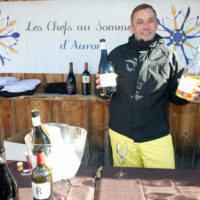 The Chefs au Sommet d’Auron is organized by the Association of Traders and Craftsmen of Auron and Saint Etienne de Tinée with the support of the municipality of Saint Etienne de Tinée, the Tourist Office, the SEM of the Cimes of Mercantour and the Chamber of Trades of Alpes-Maritimes and Artisans Arts and Delights.